Things have been moving along on our sustainable classroom here at Never Ending Food. 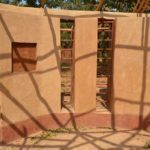 Due to the growing number of visitors that we are receiving each week, we decided to work with a local sustainable building group–Grassroots Ecobuild–to construct a classroom made from a combination of rammed earth, earth-bags, and recycled materials. 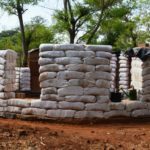 This helps to eliminate the need for cutting down trees to burn bricks and the purchasing of cement. 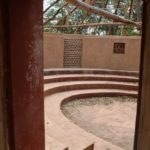 This classroom, dubbed the ‘Permaculture Discovery Centre‘, will be able to comfortably seat 50-60 participants, as well as having a small store-room for keeping our food and resource display. 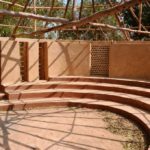 We are hoping to be able to use the space for teaching about Permaculture, conducting demonstrations, showing videos, and even allowing the public to use it for various events. Along the way, we’ve had a few setbacks due to the rainy seasons, but we are now steaming ahead again full-throttle! 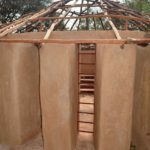 In the past few months, we have been able to finalize a lot of the plastering, flooring, framework, and roof supports. We are now quickly approaching the point where all that remains is to put on the roof and hang the doors. 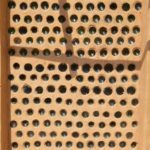 The roof will be made with a combination of corrugated tin sheets, recycled tin cans, and recycled plastic bottles (to create a sunroof effect for natural lighting within the classroom). 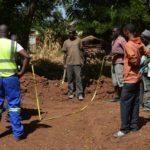 We are also using the area where all the soil was dug during construction to create a large fish pond that will eventually become an area for fish-farming and the raising of ducks and chickens! Never Ending Food’s newest intern, Kondwani M’dale, comes from a nearby village known as Mazoni. He was introduced to Never Ending Food through his interest in reading about Permaculture. We maintain a small lending-library of resource materials, and Kondwani was coming every couple of weeks to check out new books. 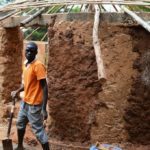 Seeing that his passion to learn about Permaculture ideas was genuine, he began spending more time with our Manager, Peter Kaniye, and our other intern, Jacob Jumpha. 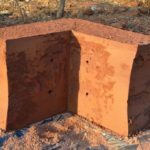 We took Kondwani on as an intern back in March of this year, and for the past five months, he has been coming three days a week to learn more about the implementation of Permaculture designs. His practical experience has involved learning about Permaculture ‘zones and guilds’, regenerative soil management (e.g. 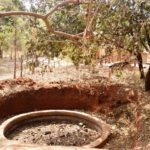 compost making, mulching, worm farming, the making of liquid manure, etc), water management (building swales, rain-water harvesting, banana pits, etc), nursery establishment, seed-saving, solar drying, eco-sanitation, and much more. 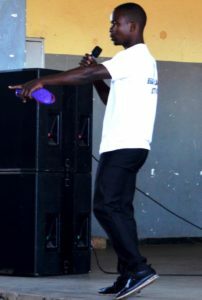 In June, Kondwani was part of the team which represented Never Ending Food at the anti-plastic campaign held in Malawi’s capital city of Lilongwe. 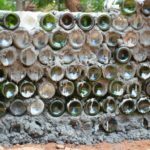 At this function, he gave a public address on how Permaculture aims to achieve ‘zero-waste’ and the importance of reducing, reusing, recycling, and refusing plastics. 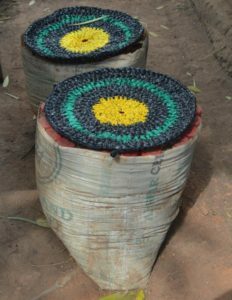 He was also able to show the audience some of the products that he and Jacob Jumpha make using recycled plastic bags (e.g. mats, hats, bags, shoes, etc). 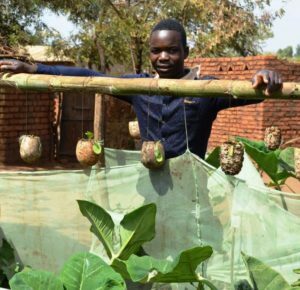 Zone One–protected from chickens and using hanging gourd pots! 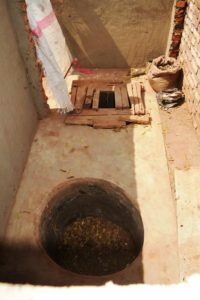 Eco-sanitation–a composting toilet using two 1-meter pits and a movable wooden platform. Over 50 Lutheran Pastors Visit Never Ending Food! 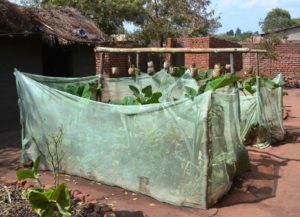 This past week (June 14th), over 50 Malawian pastors from the Evangelical Lutheran Church of Malawi (ELCM) visited Never Ending Food to learn more about how Permaculture ideas can be integrated into their mission work. 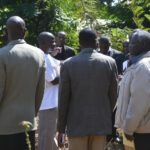 These pastors were able to get a glimpse of the true potential that Malawi has to turn itself into a literal ‘Garden of Eden’ and bring an end to things like ‘hungry seasons’, malnutrition, and poverty. During the visit, the Never Ending Food staff tried to emphasize that church leaders have a moral responsibility to make sure that people who are worshipping a ‘Creator’ must also be proactive in protecting and conserving creation. Nature gives us all that we need for life: food, medicines, energy, building supplies, etc. Humans must do everything in our power to make sure that we are caring for the earth, caring for people, and sharing resources equitably. 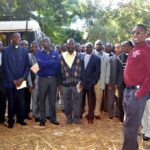 These pastors represented Lutheran churches throughout the entire country of Malawi, so we hope that the sustainable and locally-available solutions that they were able to learn about will travel home with them and be turned into action! 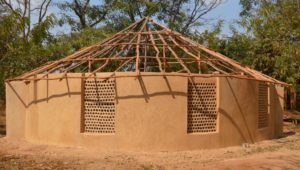 The ELCM has also produced a short video on Permaculture activities in Malawi, and can be viewed by clicking here. 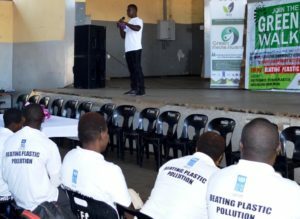 On June 9th, the Association of Environmental Journalists (AEJ), in conjunction with the United Nations Development Programme (UNDP) held a ‘Green Walk’ with the theme of ‘Beating Plastic Pollution’. This walk took place in Lilongwe, Malawi and was aimed at raising awareness of the growing plight of plastic pollution in the country. Youth, politicians, journalists, and community advocates all took part in the event and repeated the mantra: “Reduce, Reuse, Refuse”! Never Ending Food sent our Manager, Peter Kaniye, and one of our interns, Kondwani M’dale, to set up a display of recycled plastic items made by a group in one of our local villages. This group makes mats, hats, shoes, cell phone covers, and bags from recycled plastic bags. Kondwani gave a speech to the group about the importance of reusing plastics and the income which can be generated when waste is creatively turned into a resource. 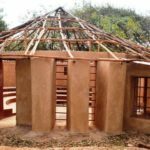 Permaculture aims at achieving ‘zero waste’, so this anti-plastic event fit right into Never Ending Food‘s mission to make a greener, cleaner, and healthier Malawi. A big thank you to all those who attended and supported this event. It is definitely a step in the right direction! 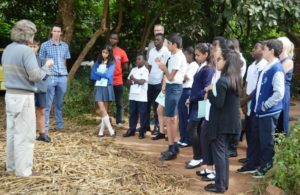 This last week we hosted two groups of students from the Bishop Mackenzie International School in Lilongwe. 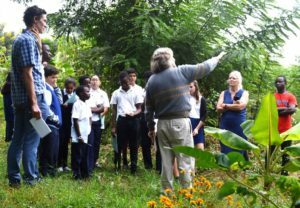 The students are currently studying factors which lead to the collapse of civilizations, so they were interested in learning more about how Permaculture can help to avoid these mistakes. 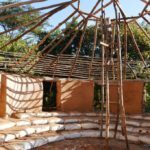 The word ‘Permaculture’ began as a combination of the words ‘Permanent’ and ‘Agriculture’, but most practitioners now teach it as ‘Permanent Culture’. 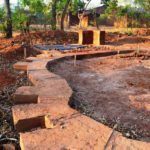 The sustainable use of resources is at the core of every good Permaculture design, and the three ethics–Earth Care, People Care, Fair Share–are the guiding principles for ensuring sustainable civilizations. When we asked the students what types of things they were learning about which led to the collapse of civilizations, their responses were all centred around the misuse of resources (e.g. water, food, natural resources, etc.). We are currently seeing many unsustainable environmental practices increasing throughout the world (e.g. deforestation, monocropping, the use of toxic chemicals, an over-reliance on fossil fuels, etc.). Permaculture offers solutions for many of today’s challenges. 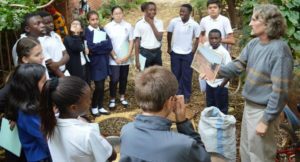 The students learned about healthy soil and water management, integrated pest management, rainwater harvesting, composting toilet systems, worm farming, nutritional diversification, renewable energies, seed collection, sustainable income generating activities, and much more. By the end of this month, we are scheduled to have four more visits of students from the Bishop Mackenzie school. It’s wonderful to see the excitement and interest growing about the potential of Permaculture to help create Permanent Cultures!